First Listen: M. Ward, 'A Wasteland Companion' M. Ward writes for beat-up transistor radios, as if he were sending his songs hurtling backward through time and space. His seventh solo album, out April 10, mostly marks the singer's welcome return to the dusty shadows. 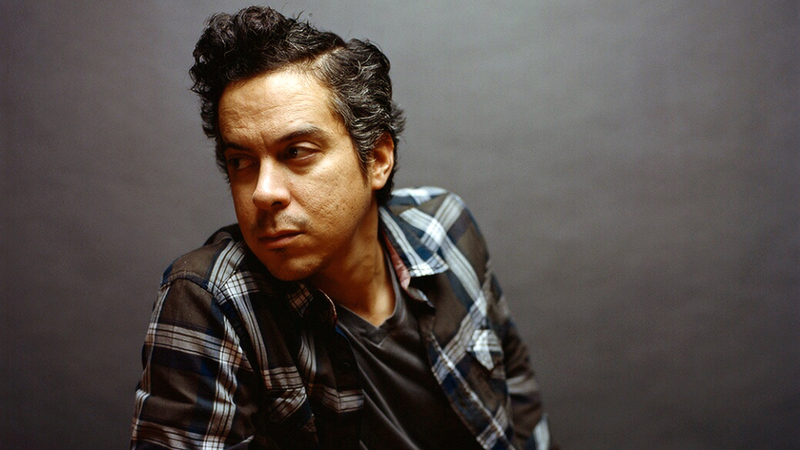 M. Ward's seventh album, A Wasteland Companion, comes out April 10. Some musicians write for car stereos; others for laptops, boom boxes or weight-room sound systems. M. Ward writes for beat-up transistor radios, as if he were sending his songs hurtling backward through time and space, to a point where music coexists with a ghostly, almost otherworldly crackle. With She & Him, Ward plays to rose-colored nostalgia; paired with singer Zooey Deschanel, his work gives timeless pop a thick coat of sugar. But, while Deschanel shows up to shine a few sunbeams on A Wasteland Companion — notably in the appropriately named "Sweetheart" — Ward's seventh solo album mostly marks his welcome return to the dusty shadows. After three years and three albums for two side projects (lest we forget Monsters of Folk), it's about time Ward booted the interlopers out of the spotlight for a little while. Out April 10, A Wasteland Companion opens where other albums might naturally end, basking in a moment of hard-won redemption. In the barren and beautiful "Clean Slate," Ward ruminates on fresh starts, second chances and earned wisdom: "When I was a younger man, I thought that pain and defeat would last forever," he sings by way of introduction, adding, "but now I don't know what it would take to make my heart back down." Appropriately, "Clean Slate" sets the tone for a grown-up record, but A Wasteland Companion soon spikes the punch with sweetened trifles like the irresistible "Primitive Girl" (which itself tacks on a moody coda, but also features gorgeous vocal harmonies from Susan Sanchez) and the rollicking "Me and My Shadow." The aforementioned "Sweetheart" feels a bit cloying, but its cheer is soon undercut; Ward's emotional palette is broad enough to give voice to uncomplicated joy, but he wears weary realism most frequently (and effectively) here. Fortunately, A Wasteland Companion's second half sheds the companionship to wallow in the wasteland a bit, as the searching atmospherics of the title track give way to the grim character sketch of "Watch the Show" and the beaten-down want of "There's a Key." Fans of She & Him's gee-whiz pop glee might dismiss Wasteland's slow-moving second half as a bit of a slog. But Ward's songs are at their best, and at their most enduring, when his songwriting bears the weight of mistakes made and life lived.